BISHKEK -- The European Union and Kyrgyzstan have almost completed negotiations over an enhanced co-operation agreement, 24.kg reported. Only parts relating to politics and trade remain to be negotiated, Boris Iarochevitch, head of the Central Asia Division of the European External Action Service, said Tuesday (November 20). Iarochevitch expressed hopes that negotiations will be complete by early 2019. "I hope that we will complete negotiations with Kyrgyzstan and will be able to consolidate the agreement before the summer-autumn of 2019," he said. Separately, Kyrgyz Foreign Minister Chinghiz Aidarbekov and other Central Asian foreign ministers are set to meet Wednesday (November 21) in Brussels, Belgium, with top EU diplomat Federica Mogherini, Iarochevitch told journalists in Bishkek. During the meeting, foreign ministers and EU officials will discuss the regional situation and shared challenges, including the environment and security, he said. 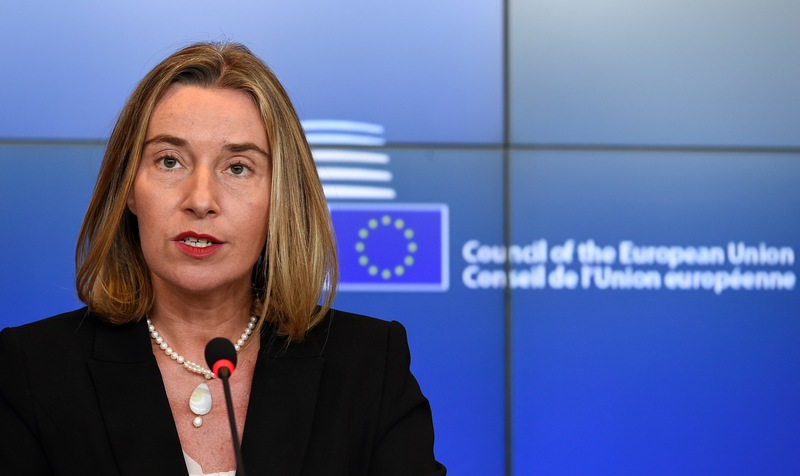 EU concerns include preventing youth radicalisation, the Iranian nuclear programme and achieving stability in Afghanistan, EU foreign policy chief Federica Mogherini said.